Sanya Phoenix Island International Terminal has announced plans for new cruise routes, saying that 5 cruise operators will use it as a homeport to open their international routes, reports xinhuanet.com. 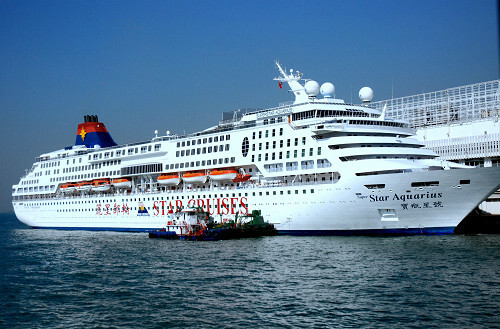 Beginning in December, Asia Cruise will include Asia Star in the Sanya-Vietnam route. Another two cruise companies from Hong Kong and Haikou will add their routes next January and Norwegian Wind, a cruise liner operated by a Hong Kong company, will begin a service to Vietnam next April. In addition to the Sanya-Vietnam route, a Haikou cruise company is planning to start its trial operation to the Paracel Islands by the end of this year. At the moment, more and more cruise companies are discussing having a presence on the route, which is expected to provide more transport options for both tourists and local residents. Since Nov.4, the establishment of the Sanya homeport has attracted both domestic and international cruise companies to expand their networks, further cementing the city as one of the leading coastal resorts in the world. It was revealed that the phase II construction of Sanya Phoenix Island International Terminal is scheduled to start at the end of this year and will receive total investment of 18 billion yuan. Upon it completion, the terminal will be capable of receiving the world’s largest cruise liner, the 225, 000 ton Allure of the Seas, and its annual passenger throughput will hit 2 million.